Br5 MKII is popular vocal style, low frequency with a typical balanced armature low-frequency characteristics , low-frequency is fast, vocal and high-frequency natural and transparent . Features: special ergonomic cavity, wearing comfortable and deep into the ear .noise-isolation, density, high frequency have reached the private mold level. The Vocal is matte, silky, highly appealing, high-frequency gorgeous, good extension and the instrument positioning prospective. Strong sense of the atmosphere. Sound field is natural, suitable for popular, small system and other music types. Treble clear, bass vigorous, high and low bass balance. 5 drivers, use Knowles and zsound driver . High - super high driver is Knowles’ TWFK,which was used by the JH24, NT6, VE6XC (super high frequency part) and other headphones . The midrange driver is the zsound 3300 series, which was used by the TO-GO334, MH335, Stage4, Stage5 and other headphones. The bass driver is Knowles’ 22955 series . Use electronic frequency divided, dedicated damping frequency divided, slender duct physical frequency divided and so on. The effect of mixed frequency divided full excavates the potential of each driver, so as to get the same sound filed and sound density as open back headset. 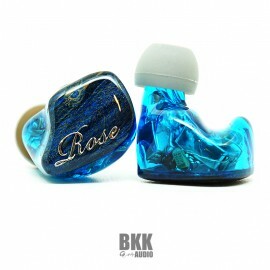 Rose BR5 MKII MK2 5BA MMCX Connector Detachable Audiophile In-ear Earphone Description Br5 MKII is popular vocal style, low frequency with a typical balanced armature low-frequency characterist..
สายยาว 1.2 เมตร +/- 5 ซม. 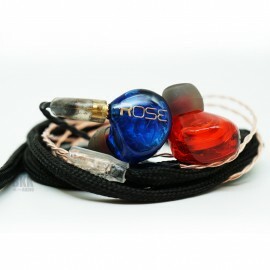 Rose Masya รุ่นใหม่ มาพร้อมสายอัพเกรด 2 เส้น Rose Masya หูฟัง Earbud 2 ตัวขับเสียงชนิดไดนามิคคุณภาพสูง - Earbud ชนิดหัวแบน ตัวขับเสียงไดนามิคคู่ให้เสียงเพลงป๊อปและเพลงร้องที่หว..
Rose mini2 mmcx connector detachable cable version . The rose mini2 sound quality effect will not fully played by listening through mobile phone .Strong suggest using HiFi player or better device. 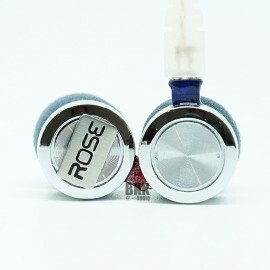 Rose Mini2 2 Balanced Armature High Fidelity Audiophile MMCX Detachable In-ear Earphone IEMs Descritpion Rose mini2 mmcx connector detachable cable version . 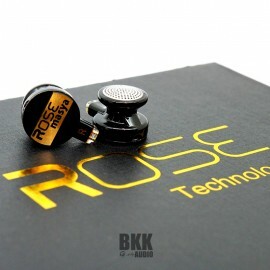 The rose mini2 sound qualit..
Rose Mojito หูฟัง Earbud ตัวขับเสียงไดนามิคคู่ เวอร์ชั่น 3D รุ่นสูงสุด -เหมาะกับดนตรีที่หลากหลาย ทั้งวงเล็ก วงใหญ่ ดนตรีโฟล์ค เพลงบรรเลง นิว..